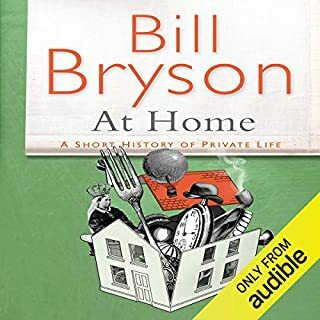 Bryson does it again weaving a merry path of fact upon fact upon fact as he takes us on a tour around the origins of the home. If you like interesting general and not so general knowledge and are interested in the way we are, where we are from and how we came to develop ideas then you should listen to this. Its like throwing open an encyclopaedia and exploring and researching thread after thread of information. Absorbing!! ....I just can not give this any more than two stars. 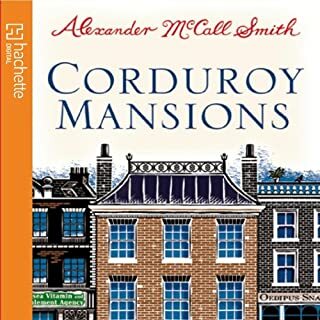 This is just personal preference and I would ask that anyone who is a fan of A.M. Smith consider other 'like minded' reviews. For me it was a dull observational interlaced with poor comedic moments and characters that I would not cross the road to kick. I completely understand the setting, the trials of the middle class and thought the story considered - but my god its dull. Smith is a good writer but I think he needs someone to help him deliver irony and parody as he just isn't up to it. This needed someone with a rapier wit to help the jokes and the dialogue cut and ultimately deliver what could have been a hilarious observation. Dragon's Den star Peter Jones will demonstrate how anyone can become successful: you just need guts, determination, and ideas. 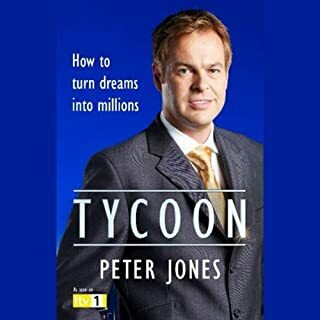 In Tycoon, Peter offers his personal insight into the qualities and skills he believes every successful entrepreneur possesses. His 10 Golden Rules provide key building blocks for turning your ideas into successful businesses. This is the ultimate guide to thinking like a millionaire and becoming one. Worth listening to as it gives very good advice on setting up a business. A lot of it could be construed as being obvious for the seasoned professional but I think its probably going to offer at least one or two nuggets of wisdom for most people.